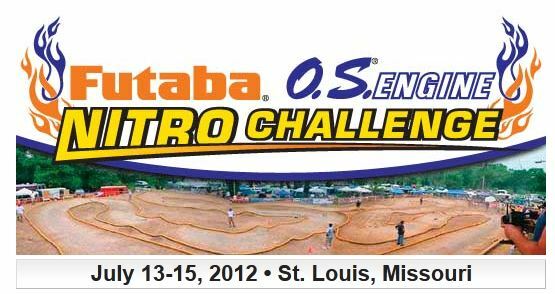 It’s back and bigger than ever, and it’s all happening on Friday, July 13 through Sunday, July 15 at the home track of the Dirt Burners R/C Club in St. Louis! Only the first 250 who enter are guaranteed a chance to compete. Like last year, there are six classes of nitro-burning 1/8 scale racing. Only the best and most skillful drivers will win cash and merchandise prizes — but everyone will take home a free event T-shirt just for paying the entry fee! 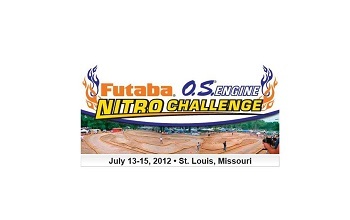 Six classes of 1/8 scale nitro competition! Dozens of cash and merchandise prizes! Buy a ticket and you could win a prize donated by one of the event sponsors. And remember: 100% of all ticket proceeds will be given back in Pro Class cash prizes! Cash Prizes for Pro Class Buggy & Truggy. A Main finishers will receive a cash payout based on entries — and 50% of raffle proceeds. Pro Class “Dash For Cash”. The top 6 qualifiers in Pro Buggy class will run a 7 lap race to determine their places on the starting grid for the first Pro Buggy A Main. Starting time is just after the raffle on Sunday morning. The race will begin with an inverted start, but there’s no telling just how it’ll end up! One thing’s for sure, though: the winner will receive 50% of the raffle ticket sales! 1st place finishers — win a Futaba 4PKS Radio! Trophies will be awarded to the top 6 finishers in the B Mains — and EVERYONE who finishes in the A Mains.